The English Raid /Raid England, had explored the Solent in 2010 and 2011. Now in it's third year it moved to Suffolk/Essex for 2012, providing new experiences and challenges for regular Raiders. Launched at Wolverstone Marina. Gentle cruise downriver. Some trigger happy skipper on a coaster enjoyed trying out his horn at Molly's expense. Aghast at the scale of Felixtowe container terminal. Straightforward entry to Shotley Marina, our base for the Raid. Lovely sail westward, upriver,to Manningtree. Moored to buoys and ferried to a warm welcome and refreshments at the Stour Sailing Club. After lunch, tricky exit due to rapidly falling tide. Care needed negotiating shallows off commercial wharf at Mistley. Gaining better depth and excellent wind, Molly was soon flying along as if she was running down a conveyor belt, and made impressive speed to Harwich Town Quay. Visit to the vintage lightship followed by supper at Harwich Sailing Club. Swift sail back to Shotley under gib alone. 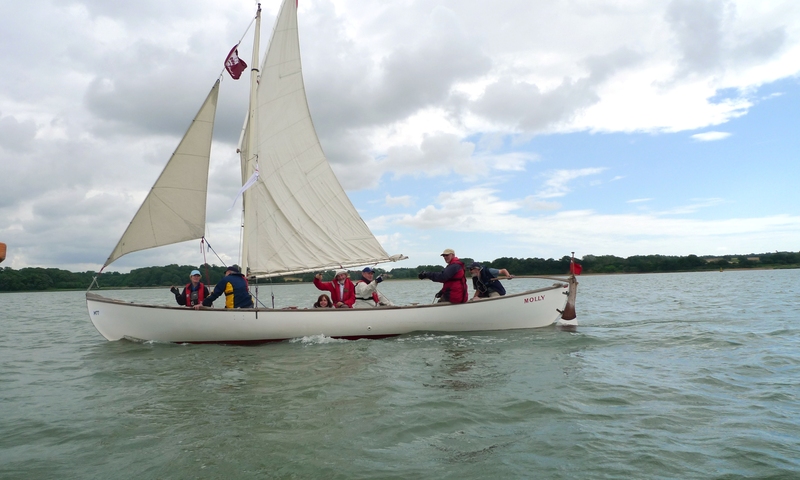 The trip southward down the coast to Walton Backwaters was cancelled due to poor weather and replaced by a race northward up The Orwell and back to Suffolk Yacht Harbour. The return to Shotley involved brisk winds and choppy water especially off Felixtowe. Lots of quick reactions required from the "mobile ballast". 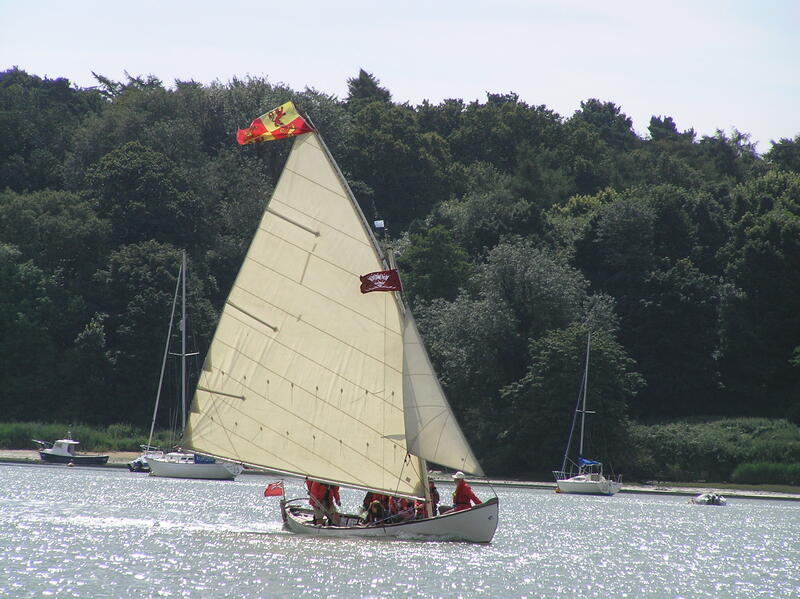 Lovely race up the stour to Ipswich and lunch at the Orwell Yacht Club. Afternoon race back down to Shotley. Evening walk for dinner and prizegiving at Pin Mill Yacht Club. Dawn was bright and beautiful, and the weather was not bad either. 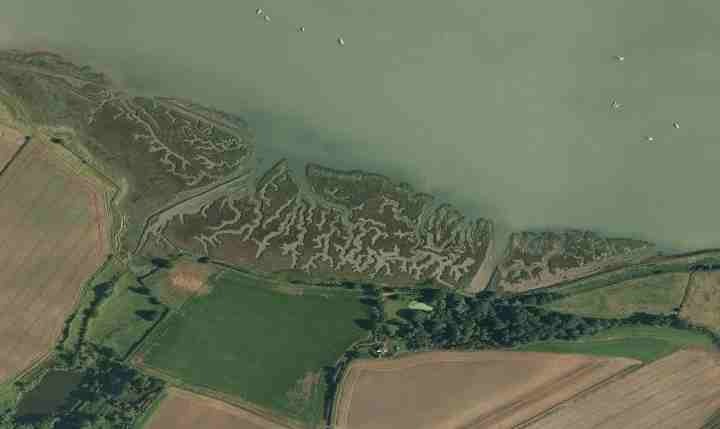 Free sail southward out to the "open space" of the estuary then return upriver to slip out at Woolverstone. Molly's crew (softies?) greatly enjoyed the "luxury" of a rented cottage, especially those allocated to the, albeit open-plan, converted boathouse right on the bank of the Orwell. Full praise to Moray MacPhail for a thoroughly well organised event making clever use of Shotley as a base with inland or more exposed options for varied trips each day, and skilful adjustment when the weather would otherwise have defeated us. Other raiders' pictures linked from the Raid website - Also, information about English Raid 2013. Did you take any pictures? - Please pass them to Webmaster.